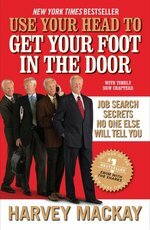 Harvey Mackay returns with the ultimate book on how to get, and keep, a job you truly love whether you're twenty-one, fifty-one, or seventy- one. In this era of downsizing and outsourcing, you can never be sure your job will still exist in five years-or five weeks. So you'd better think of your career as a perpetual job search. That demands a passion for lifetime learning and the skills for relentless and effective networking.